Journal of Indonesian Islam (ISSN 1978-6301 and E-ISSN 2355-6994) is peer-reviewed international journal published biannually by the Postgraduate Program (PPs) and the Institute for the Study of Religion and Society (LSAS), State Islamic University (UIN) of Sunan Ampel Surabaya. 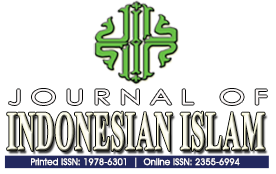 The journal puts emphasis on aspects related to Islamic studies in an Indonesian context, with special reference to culture, politics, society, economics, history, and doctrines. It cordially invites contributions from scholars of related disciplines. The languages used in this journal are English and Arabic. 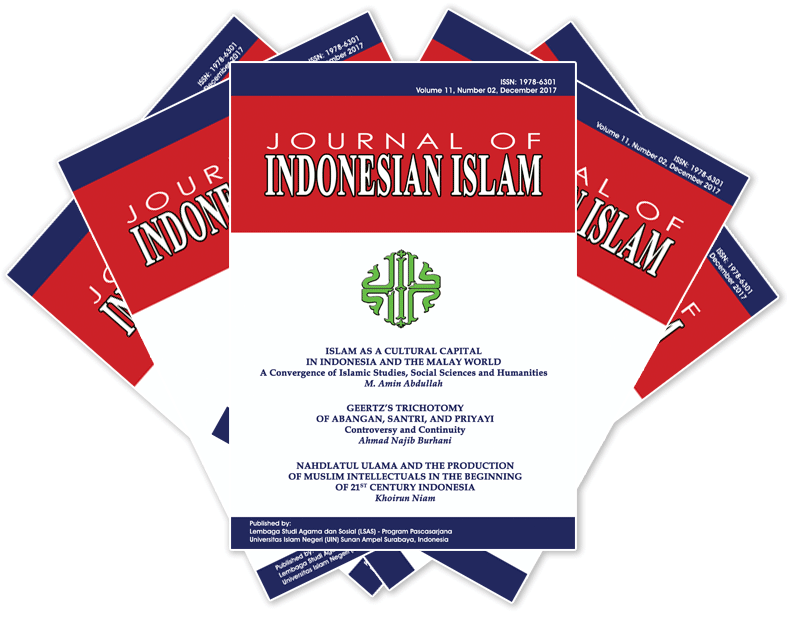 Journal of Indonesian Islam has been indexed by Crossref since 2014. Therefore, all articles have unique DOI number.